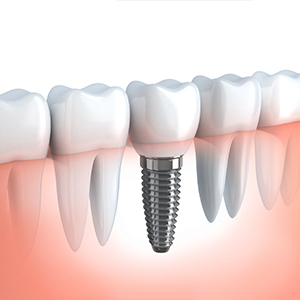 Dental implants are an area of expertise here at Emergency Dentist Preston. Although we specialise in emergency dental treatments, we have a huge amount of experience in providing dental implants in Preston, so you can take confidence in knowing that our dentists have the necessary knowledge to provide you with the highest standard of dental implants available on the market. If you have a gap in your teeth and it’s knocking your confidence, then our dental implants are the perfect solution for you. The titanium rod that we use bonds with the natural tissues in your jaw bone in order to keep the implant in place and is guaranteed to last at least 5 years (depending on how well you maintain them). If you would like to know more about our dental implants, then please have a look at our other website which has a lot more information for you. Also, please feel free to give us a call and our receptionists will be able to provide you with all the information that you need to know as well as answering all of your questions and concerns. If you’re unable to take a call right now then don’t worry, you can also contact us via email by filling in one of the quick contact forms that can be found at the bottom of this page or on our contact page. Once you’ve filled this in, one of our dentists in Preston will get back in touch with you to provide you with everything that you need to know as well as booking you in for an appointment following your enquiry.